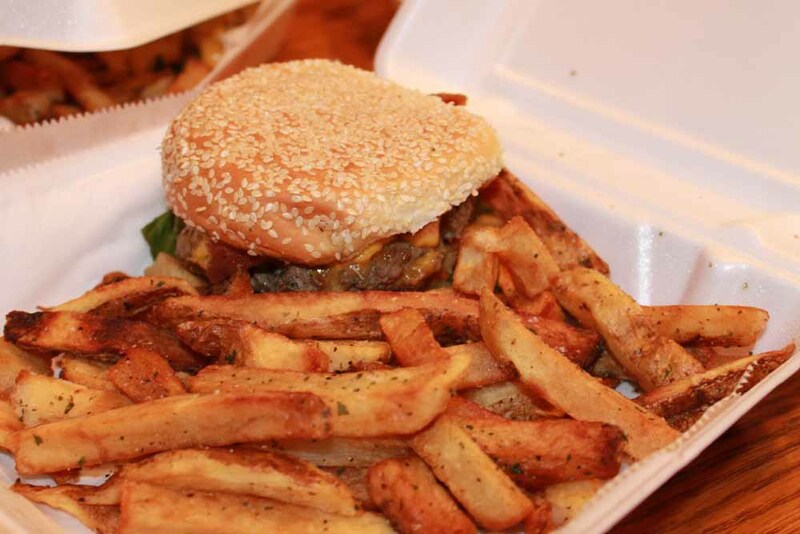 If you live in the Cornwall/New Windsor/Vail’s Gate area and like to check out local food places, you were probably a fan of Woody’s, an all natural burger place in a yellow house in Cornwall. They had a solid staple of offerings, but would also branch out into limited-time specials based on whatever was good and fresh at that time. Well, Woody’s closed down in the past year and we’ve been left wanting for places to get a good burger that doesn’t come from a clown’s mouth. Thankfully, my wife and I didn’t have to look around too long before realizing that King’s Pommes Frites — also in Cornwall — is killing it with their burgers. In fact, as far as I’m concerned their burgers are actually better than Woody’s were. They’re big and juicy and perfectly cooked, plus they come with King’s always-fresh fries and their signature variety of sauces. As far as I’m concerned, King’s is doing it right. They started off with a simple idea: the fries with sauces, plus a special or two every week or so. Now they’ve expanded to a full menu PLUS unique offerings every week that you can keep tabs on by way of their Facebook page (linked above). From what I hear, they’ve also got shakes now, which is wonderful because no one else seems to be doing that in the ‘Wall.